Bitcoin24 is offline! 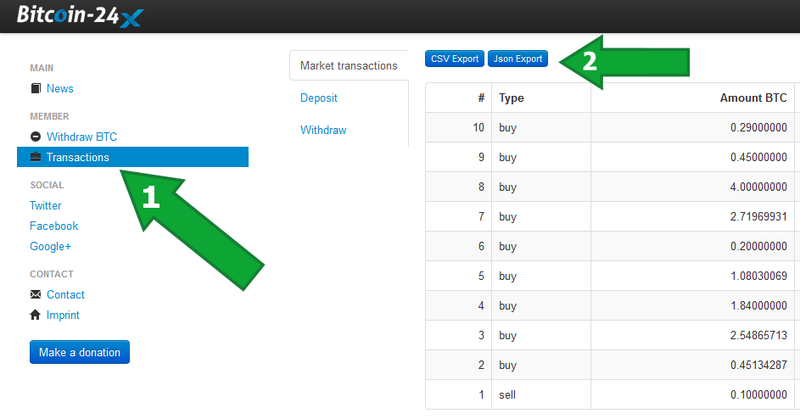 If you have an old CSV export from Bitcoin24 on your PC, you can upload it here. Attention: This import is for the old bitcoin24.de site which was closed in April 2013 (not to be confused with bitcoin-24.com). If you still got your JSON export code from bitcoin24.de, you're lucky and you can import all your trades.